Let us behave properly as in the day, not in carousing and drunkenness, not in sexual promiscuity and sensuality, not in strife and jealousy. But put on the Lord Jesus Christ, and make no provision for the flesh in regard to its lusts. In one of his books, Dr. Lloyd John Ogilvie, retired Chaplain of the U.S. Senate, retells an ancient Greek legend of a major foot race between two competitive young athletes. As in all sports contests, there is a winner and a loser—and the loser of this one was devastated. He had trained long and hard, believing himself to be the superior of the two runners. His memory became haunted by the face of his opponent and the man's adoring fans. Moved by the victory, the city erected a statue in the winner's honor. The losing athlete was consumed with envy, both physically and emotionally; he could think of nothing but his defeat and his opponent's new-found prestige. Ultimately, he reached the decision to destroy the statue that plagued him with the daily reminder of lost glory; a plan began to take form in his mind. Late each night, when the city square was empty, the youth went to the statue and chiseled away at the base, hoping to weaken the foundation enough to make it eventually topple. While chipping at the sculpture with especially violent envy one night, he misjudged his efforts. The heavy statue teetered on its already fragile base, crashing to the ground. The disgruntled athlete was crushed beneath the weight of the marble replica of his nemesis, literally destroyed by his own jealousy. Obviously, the moral of this story lies in the fact that this man had been dying long before the statue fell on him. Inch by inch, blow by blow of the chisel, he had become the victim of his own dissatisfaction. How many Christians have you known who were overcome with bitterness? It chips away at a believer's life, destroying the spirit and corrupting the heart. Hebrews 12:15 warns, "See to it that no one comes short of the grace of God; that no root of bitterness springing up causes trouble, and by it many be defiled." The Scripture is clear—a Christian is to overcome his feelings of bitterness lest he become overtaken by them, for to be defiled is to be destroyed . . . and bitterness has the power to do both. In addition, bitterness resulting from jealousy is the complete opposite of putting on Christ—as you would put on clothing, your attire should be "love, joy, peace, patience, kindness, goodness, faithfulness, gentleness, and self control," as described in Galatians 5:21-23. Since you can't wear both, which outfit will you choose to wear—jealousy . . . or Jesus? Prayer Point: Are you struggling with bitterness toward someone? Is your spirit being eroded by the slow chipping away of jealousy's chisel? Pray that God will reveal to you any hidden malice in your heart toward others; ask Him to replace it with a spirit of gentleness and kindness. Extra Refreshment: Read 1 Samuel 13—a story of jealousy and its consequences. People aren't reading the Bible because they think it is irrelevant to everyday life. But they're missing out on a Hebrews 4:12 truth. Trials are not given to make us WEAK, but to make us learn to WAIT. What use is it... if someone says he has faith but he has no works? (James 2:14). If the world wants to determine what authentic Christianity is, they won’t examine your faith, they will examine your life. God doesn't look for eloquence—He looks for emptiness. Wisdom for the Heart is an international Bible-teaching ministry based on the sermons of Dr. Stephen Davey. The broadcast Wisdom for the Heart is heard on more than 300 radio stations throughout the United States, as well as transmitted to the Middle East (Arabic), Europe (English), Latin America (Spanish), and Africa (Swahili). After worshipping in a school for six years, Colonial moved into its first building, located on seven acres. Within a year, the church not only outgrew its first building but the entire master plan. Nine years later Colonial moved to its present location on forty acres, where several buildings have been designed to maximize outreach, discipleship, community, and worship. The church family currently engages in more than 100 ministries carried out by several thousand volunteers and led by an excellent, Christ-honoring administrative support team and pastoral staff. Their united global vision remains front and center as the Word of God continues to be expounded — and applied. As the Bible teacher of Wisdom for the Heart, Stephen takes the message of the Gospel around the world. Spanish programming is currently broadcast on 90 radio stations and can be heard throughout Central and South America, reaching an estimated 70 million people. The people have responded hungrily to the teaching of God’s Word. The Arabic translations are being aired on stations located throughout the Middle East, covering much of Iraq, Kurdistan, Jerusalem, Jordan, and Palestine, reaching an estimated 10 million listeners daily in their own language. In the Middle East, there are 300 million Muslims who need to hear the Gospel. Swahili is now reaching a potential African audience of more than 50 million listeners. Like the Arab world, spiritual darkness encompasses daily life. Most of the 180 million who use Swahili daily are Muslim; life is governed by Islamic tradition and the teachings of the Koran. Print and audio resources are available in book and transcript form, CDs, MP3s, and podcasts. 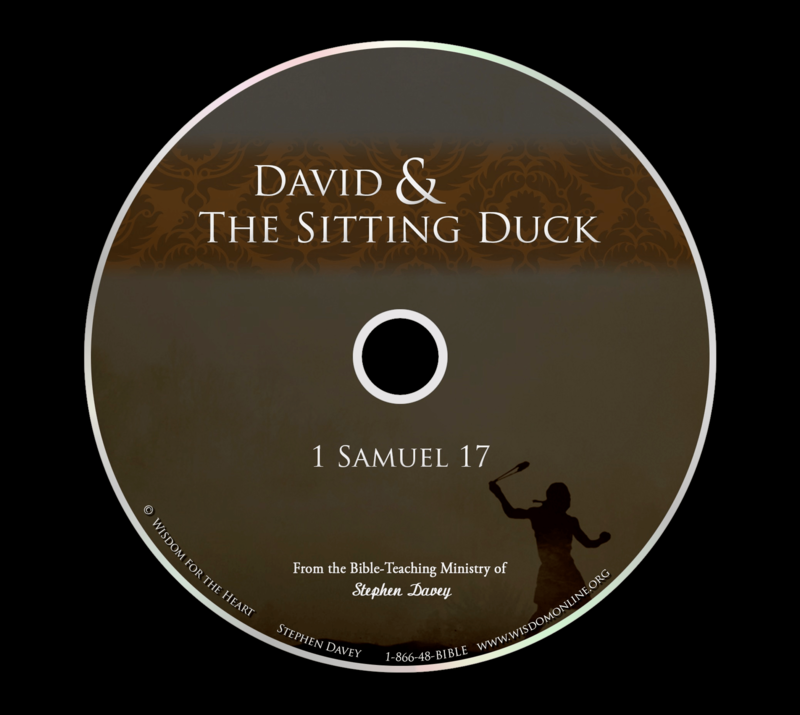 Everything Stephen has preached throughout his ministry is now available at no charge in transcript and audio formats at wisdomonline.org. We are praising God for the things He has done—and the things He is doing! Stephen and Marsha have been married 31 years and have been blessed with twin sons Benjamin [wife Caroline], and Seth; daughters Candace and Charity.